Homemade pancakes from scratch. Who has time for that? You do! That's right. 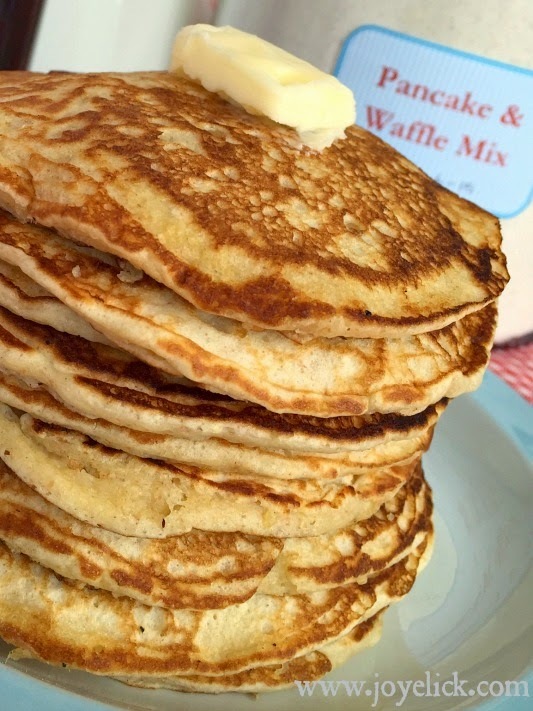 When your pantry is stocked with your own homemade pancake and waffle mix, you're always prepared to whip up a made-from-scratch breakfast for your family. And you can feel confident in what you're serving, because you know exactly what's in your mix: Good stuff. Nothing more, nothing less. 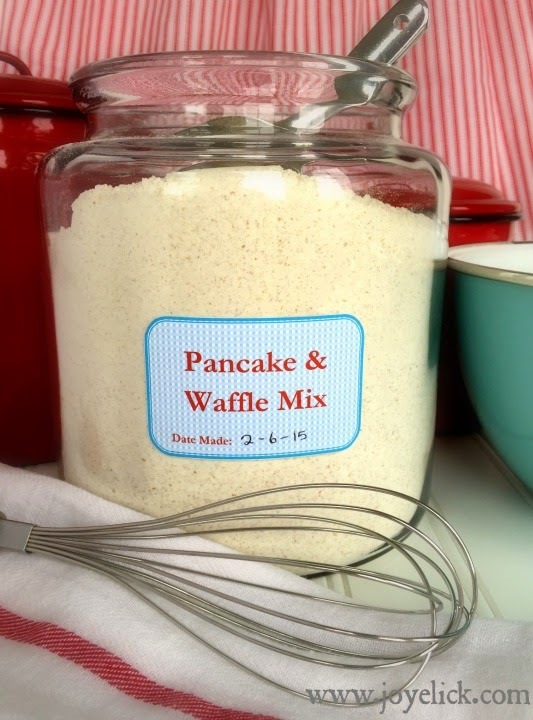 I'm excited to bring you this pancake and waffle mix. It's one of my favorite ready-mades to keep in my pantry. This one is golden. 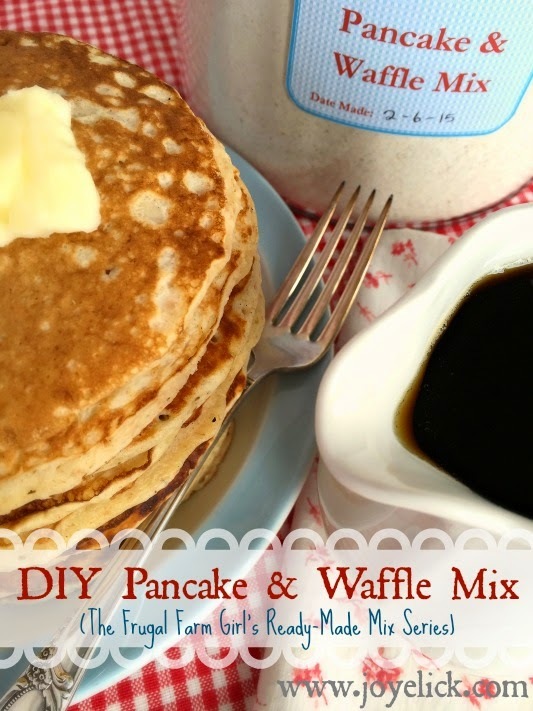 It makes crazy good pancakes, full of whole grain goodness and tasty flavor. 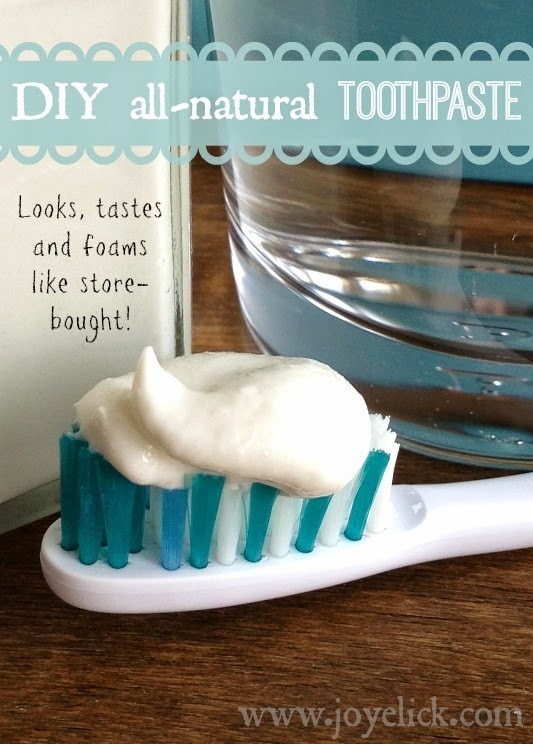 Once you see how easy it is to make this mix, you won't want to go back to using store bought. So put on an apron, and let's get mixing! Store the mixture in a one and a half gallon-size canister , or another air-tight container. 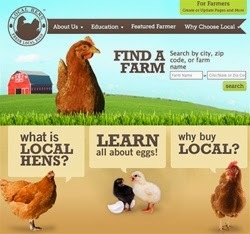 Use within six months. Use a 1/4 cup to measure your batter onto and oiled griddle (I love the even heating of a cast iron griddle). Cook over LOW heat. (This is the trick to perfect golden perfection when making pancakes--LOW heat). If making waffles, use a 1/3 cup to pour the batter for each section in your waffle iron . TIP: For an added homemade flare, try serving your pancakes and waffles with homemade strawberry syrup! It isn't hard to make, and it lasts a really long time in the refrigerator. 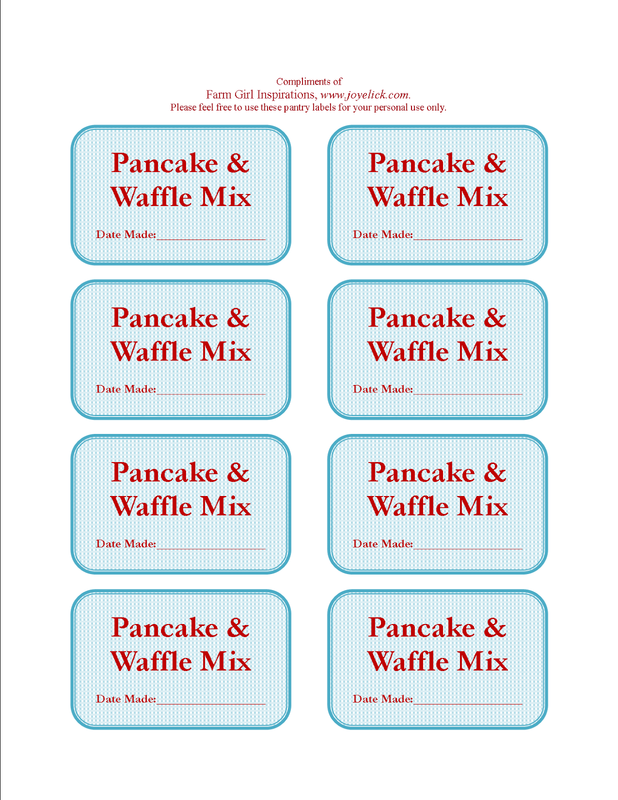 CLICK HERE to download your free Pancake and Waffle Mix Labels. 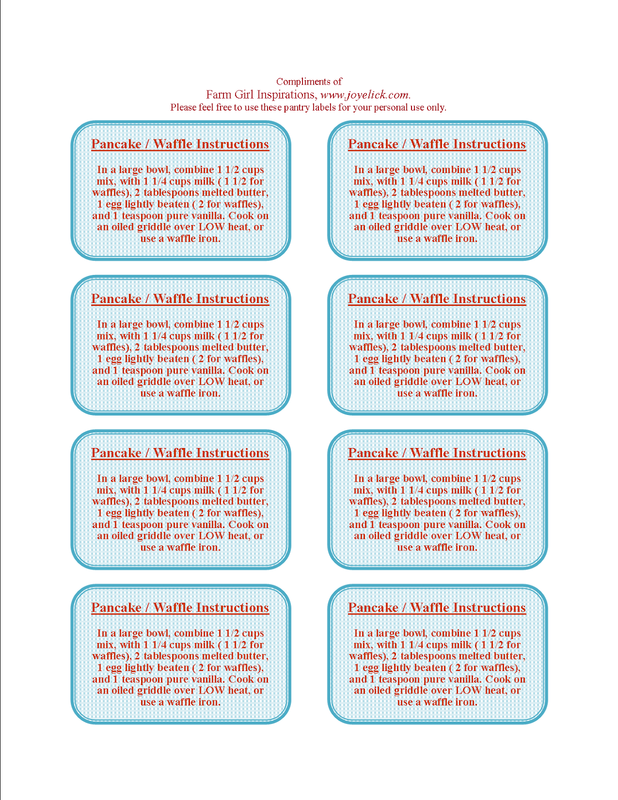 CLICK HERE to download your free Pancake and Waffle Mix Instruction Labels. CLICK HERE to see the posts in this series! For the word search puzzle use my website for the free play of the word search game to play free.